Frank Lampard knows very well that Lionel Messi must be stopped if Manchester City are to get the better of Barcelona this week. The Eastlands outfit host the Catalan giants in the Champions League Round of 16 first leg on Tuesday night and veteran midfielder Lampard has identified Argentine maestro Messi as the man to keep quiet if they want to pull off a famous victory. “As far as I see it you just can’t give him space in the dangerous areas – we have to close him down, get tight and give him as little room as we can because if you don’t, he can destroy you,” he told the club’s official website. Lampard also touched on Suarez who returns to play in England for the first time since leaving Liverpool in the summer. “It’s probably been different for him this season but we know what a talent he is and coming back to play in England will give him an added incentive and he will certainly want to step up and show everyone what he’s capable of,” the Chelsea legend added. Roberto Di Matteo has claimed that “stellar” Cristiano Ronaldo is not shining as brightly as usual ahead of Schalke‘s Champions League last-16 clash with Real Madrid – but added that the forward is still capable of deciding Tuesday’s first-leg encounter singlehandedly. 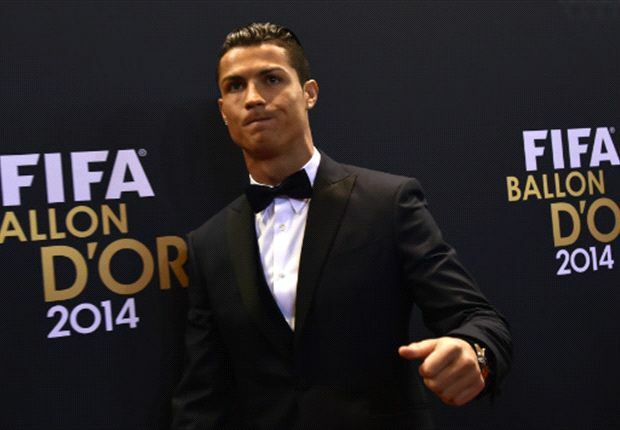 Ronaldo claimed his second consecutive Fifa Ballon d’Or after a fantastic 2014 in which he fired Los Blancos to Champions League glory, as well as breaking a succession of goalscoring records, both in Europe and Spain, over the course of the year. However, the Portugal international’s current form and conduct are currently topics of debate, with the forward having gone three games without finding the net in La Liga, and his decision to go ahead with his 30th birthday party celebrations just hours after a humiliating 4-0 loss at Atletico, which upset some fans. Di Matteo acknowledges that there has been a minor dip in Ronaldo’s performance level, but the Schalke boss insists that he will not be underestimating the threat posed by the Blancos ace at the Veltins-Arena. “Cristiano is a phenomenal player who is always capable of deciding a match on his own,” the Italian coach told reporters on Tuesday. Despite Ronaldo’s relatively sub-standard performances of late, Madrid are widely expected to sweep Schalke aside, just as they did at the same stage last season, when they routed the Bundesliga outfit 9-2 on aggregate. However, Di Matteo insists that his players believe that they can upset the reigning champions of Europe. 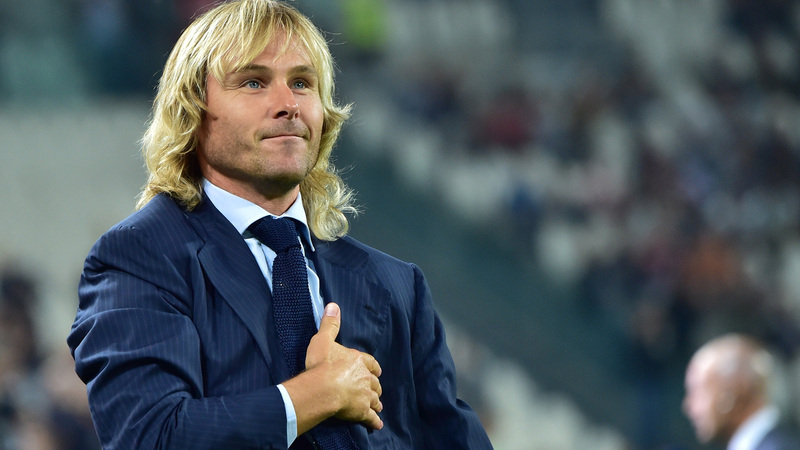 “Our goal going into the match is to come away with a win,” the former Italy international added. “We want to exploit the few weaknesses in Real Madrid’s game. “Of course they are the favourites. They are the holders, but still, we are out to win. 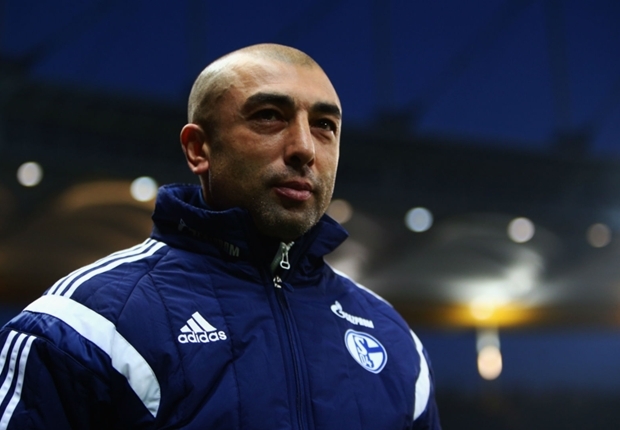 Di Matteo succeeded Jens Keller as Schalke boss last October and the Gelsenkirchen outfit currently sit fourth in the Bundesliga. Bayern Munich have become a “one-man team” with Arjen Robben at their epicentre and are risking alienating “best No.9 in the world” Robert Lewandowski , according to Dietmar Hamann. The five-time European champions drew 0-0 with Shakhtar Donetsk in the first leg of their Champions League round of 16 tie in Lviv on Tuesday, despite losing Xabi Alonso to a second-half sending-off. And the former Bayern midfielder said after the match that the team are expecting too much from Robben as they aim to regain the continental crown they last won in 2013. “Bayern are a one-man team at the moment,” Hamann told Sky Sports. “Mario Gotze has had his ups and downs, and Franck Ribery is back from injury but didn’t get involved tonight. Hamann went on to add that the exclusion of Lewandowski, who came off the bench for the last 15 minutes in Lviv, could lead the Poland striker to consider quitting Pep Guardiola’s side for another of Europe’s top clubs. 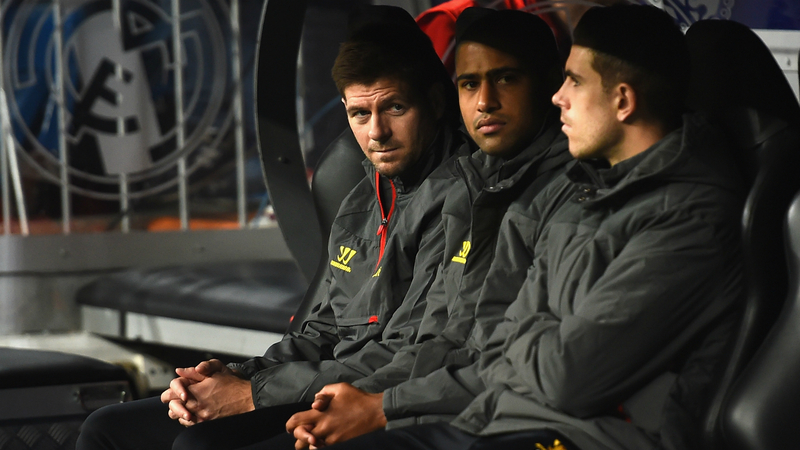 “I’m surprised Lewandowski started on the bench. His head is not in the right place,” Hamann said. “If you want to be successful against the best teams, like Barcelona and Real Madrid, you need Lewandowski and I don’t know how much he’ll be on the side of the coach. “There are no assurances he’ll be there next season. The way they play under Guardiola, I don’t think it suits Lewandowski. At Bayern, he simply doesn’t get enough balls. Bayern will host Shakhtar in the second leg clash at the Allianz Arena on Wednesday March 11. QPR skipper Joey Barton has taken a swipe at PSG and Zlatan Ibrahimovic ahead of their Champions League clash with Chelsea. Barton, a former Olympique Marseille player, has questioned the culture at PSG. “The Parisians should be quietly at the top of Ligue 1, but this is not the case,” he told Le Parisien. Barton continued: “I feel like there is not always joy in the locker room. To hope to eliminate Chelsea, you need solidarity and a perfect state of mind. Chelsea play better as a team. Cristiano Ronaldo looked happy tonight – genuinely delighted – that he had been again handed the Ballon d’Or, that trophy he covets more than any other. He was so overcome with emotion at last year’s event that we were very nearly treated to football’s very own Sally Field “You like me, you really like me” speech from the 1984 Oscars ceremony. This time, with the result in the bag long before the announcement, the reaction was relatively muted, but this is the silverware he wants most of all. Generally it takes great players to make great teams, but the reverse is also true. There would be no Ronaldo without Angel Di Maria, without Luka Modric, without Sergio Ramos. Those players submit to the collective and embody the awareness of two objectives to their game plan; winning matches and keeping Cristiano happy. Cristiano did not score in the two games he played in Morocco as Real won the Fifa Club World Cup and lost out on the Golden Ball there to Ramos. Consequently, he went through the motions in the celebrations. It had not been his tournament and so it did not appear to mean a lot to him. His team had just been crowned the best in the world but being named best player in the world looks to mean a good deal more to Ronaldo. That night he flew to Madeira to unveil a statue of himself outside the museum he had built as an eternal testament to his own brilliance. In 2014, he became the first player to score 25 goals in five consecutive seasons. He became the first player to score 50 goals in four successive campaigns. He was the first player to score for two winning teams in a Champions League final. He was the top scorer in the Champions League with a record 17 goals. He was the LFP and the Uefa player of the year. He reached 200 Spanish league goals quicker than any one else in history. He surpassed Raul’s haul of 71 Champions League goals. He shared the European Golden Shoe with Luis Suarez (“I will not lie. I really wanted to win it,” he said of sharing that gong). He became Portugal’s all-time top goalscorer. He became the first Portuguese in history to play and score in three World Cups. All of those things he would have achieved without winning a thing – and some of those things he achieved without getting anywhere near outright victory. He was, however, not fit for the Champions League final nor was he fit for the World Cup. The magnanimous thing to do would have been to sit both out and allow a fitter colleague contribute more. As things went, Madrid did not need him on the night as they overcame Atletico Madrid in Lisbon. 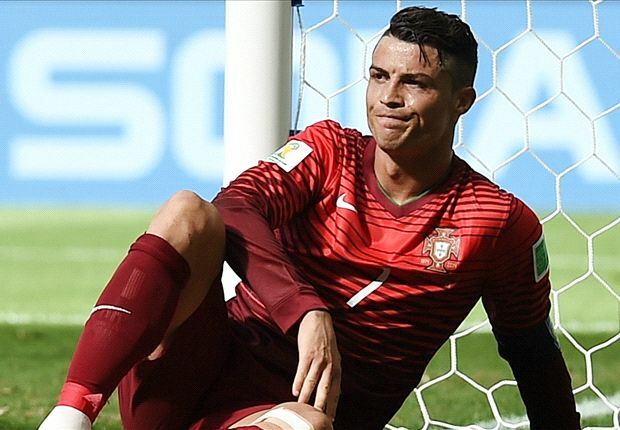 Portugal would have had no worse a tournament had he stayed at home. The Ballon d’Or has grown this big in the age of Cristiano and Lionel Messi. It is now football’s Oscars night and they have shared the award every year for the past seven. Kaka, in 2007, was the last player to beat either to the award. It is an award, generally, for the player which best defines the best team in the world. Ronaldo, in that respect, is a deserving recipient this year. His year though was more about what he achieved as an individual than as part of the Real Madrid team. Even if Ramos had not scored that late equaliser in the Champions League final, then Ronaldo would still have won this. His individual accolades far outstrip what he achieved as part of a group to the extent that la Decima became a footnote in Ronaldo’s 2014. He celebrated his record-breaking goal in the Champions League semi-final against Bayern by counting to 15 with his hands. He did not flash up a 10 when Real secured la Decima – he took off his shirt and invited the world to feast its eyes. In this, the age of Ronaldo, the emphasis has shifted from the great teams to the great players. Part of it is because he and Messi are so good and it will not be until both retire until the parameters by which we define greatest will stretch beyond the statistics of Games (Goals) and back to collective achievement. The validation of being the best, and not merely part of the best, is what motivates. It has led to Ronaldo becoming the greatest modern footballer, and winning things with his club has only been a part of the process of making himself great. In 12 years as a player for Manchester United and Real Madrid, Ronaldo has won four league titles. 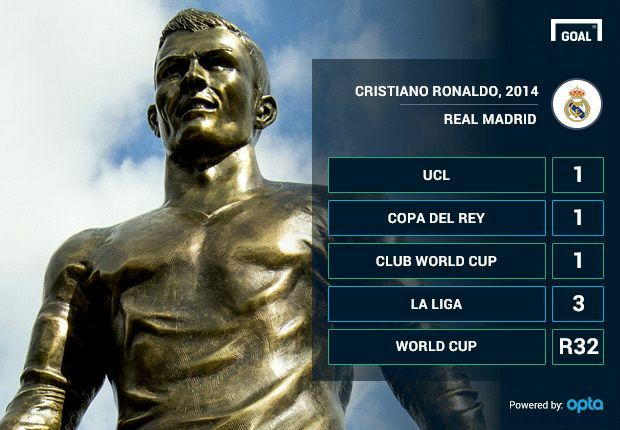 Consequently, Ronaldo’s collective trophy haul falls a long way short of the individual accolades he has accrued. Come hell or high water, Ronaldo will score goals and win individual prizes; whether or not his team win collective honours along the way is a secondary consideration. If Real Madrid win trophies then it is a useful upshot of Ronaldo scoring. But, for all his individual glory, for all his brilliance, and for all the absolute certainty that he is the best player in the world, Ronaldo’s personal quest for perfection remains his curse.